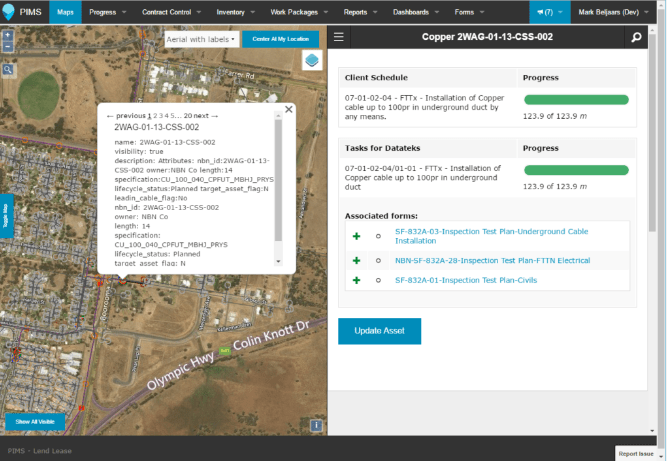 A large construction company required project management software capable of tracking progress, profit and loss, variations, defects, inventory and land access to assist them in managing the rollout of Australia’s largest ever infrastructure project. Accessed by both management and in-field contractors, the software needed to be accessible anywhere from office computers to tablets and phones in the field. After researching existing off-the-shelf software, the client found that no software completely sufficed all requirements. We were engaged to build them the system they required. PIMS is a large and complex web-based application used for managing multiple work fronts across disparate geographical locations. The software tracks progress, variations, defects, resources, safety forms, inventory and costs all gathered directly from field inputs entered onsite by supervisors and subcontractors. 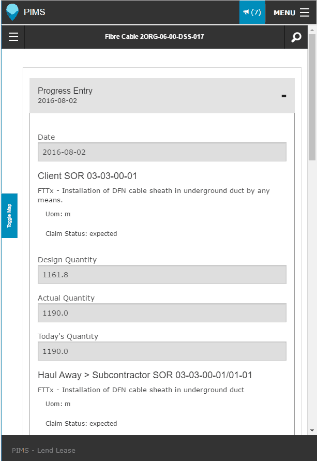 Subcontractor entries drive progress payments and allow for real-time reporting of progress to senior management through various dashboard reports. 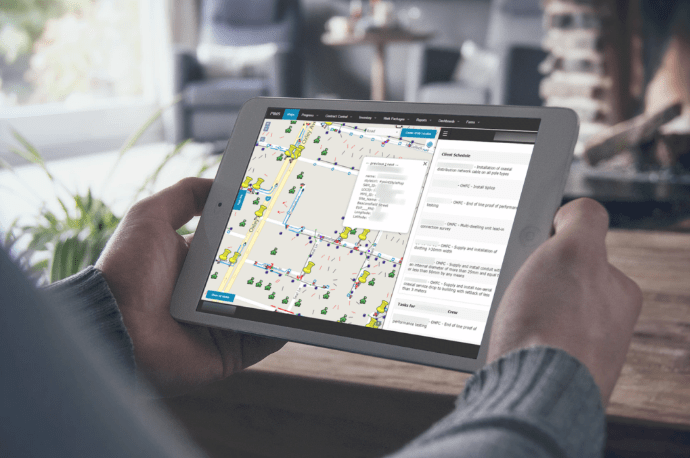 The PIMS application was originally designed to track daily progress of installed assets, however, the application quickly grew to become the sole project management tool for all geographically diverse works within the client’s services division. The application was complex to build as the large client base started working with MVP (Minimum Viable Product) and new features were required on an almost daily basis without any downtime or retraining. To meet the growing needs of the software, a team of 8 dedicated developers were assigned to the PIMS application. We also employed Continuous Implementation and Agile development techniques to implement, test and release new features without affecting existing operations. Together with detailed documented processes and a proven development workflow, we were able to continually roll out new features with no interruptions to existing users. To further facilitate cooperation between us and the client, we opted to add them directly to our project management systems. This allowed them to add new tasks, bugs, comments or requests directly to each feature ticket. They were also able to view which features are currently being worked on and which features were ready to test (on our dedicated test systems) before being deployed into the production environment. PIMS is now being successfully used by 100’s of people within the client’s company on a daily basis for all sorts of activities including management, executive reviews, inventory control and financial accountability. The large-scale project meant a large number of stakeholders were involved in feature selection, prioritisation and overall design. The system was required within months of our engagement. As such, we released a simple application to meet minimum requirements and implemented Continuous Integration (CI) techniques to rollout new features on a daily basis. 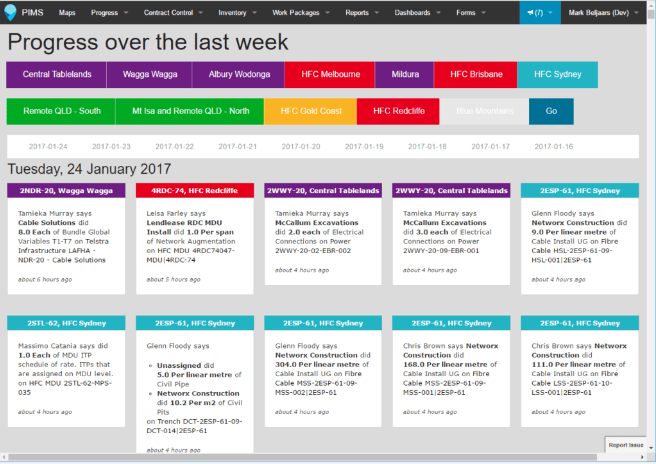 Real-time reporting of progress, issues and prioritisation were required with the client. This was realised by adding the client directly into our project management system, allowing them to interact directly with our developers.